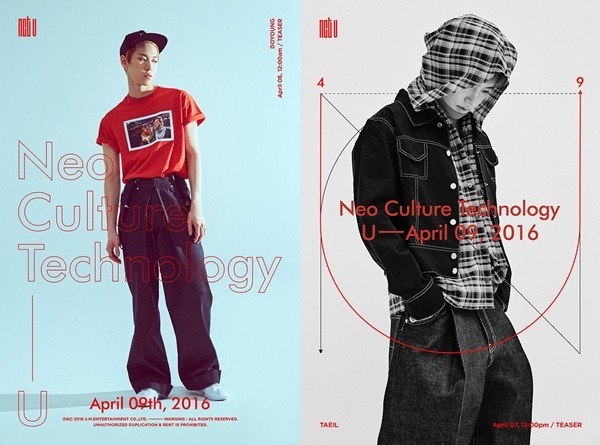 Rookie boy band Neo Culture Technology’s subunit NCT U will unveil two singles “The 7th Sense” on Friday at midnight and “Without You” on Saturday at midnight, according to its agency SM Entertainment. “The 7th Sense” featured Jaehyun, Mark, Ten, Taeyong and Doyoung, while “Without You” was sung by Taeil, Jaehyun and Doyoung. The announcement came after SM Entertainment confirmed that Doyoung and Taeil will make their debuts as NCT U members. NCT U currently comprises six members, but it is likely to have an unlimited number of members. The boy band’s live “On Air NCT Show” will be aired on the Naver V App at 8 p.m. on Saturday and Sunday.